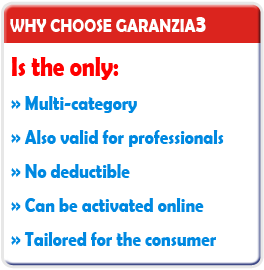 Garanzia3 is a Business Company’s brand. 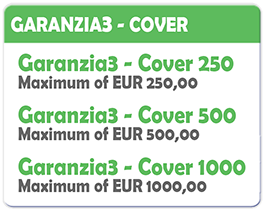 Business Company S.p.A. is a European after sales provider, specialized – since 1999 – in Warranty Management Services for Producers, Importers, Trade & Distribution, operating in the informatics devices, electronic equipment and home appliances industry. 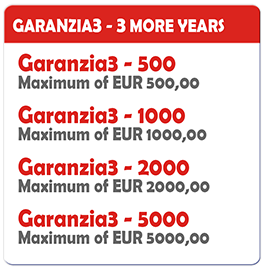 With over a decade of experience the Business Company Top Management has built, over the fields, a solid base for the Group’s know-how enrichment, developing the portfolio services in the Business and Consumer area, Trade & Distribution and the Online Commerce. The Group’s Core Business is focused on warranty management thanks to a proprietary Information Technology and a Consumer Electronics computer system along with European after sales technical assistance.